Reducing arrests. Keeping people at home with their families. Building smaller, safer, and fairer justice systems. These very familiar goals are the reason why, 25 years ago, Midtown Community Court was created. 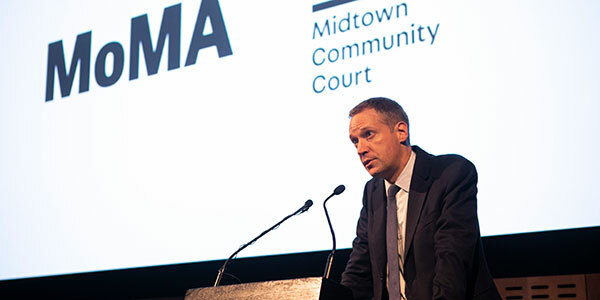 The goal of Midtown Community Court was, and will always be, to make justice more meaningful. Instead of punitive fines or jail sentences, the court tries to consider alternative responses to low-level crimes, offering community service and on-site social services. 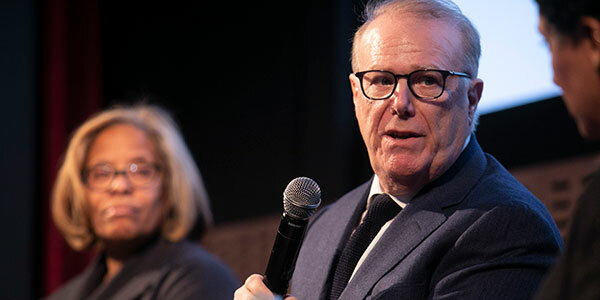 This community-based approach to justice takes into account problems such as unemployment, poverty, homelessness, addiction, and mental illness. 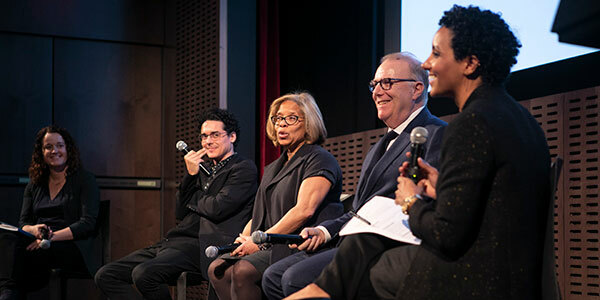 Celebrating the court’s 25th anniversary, on December 7, John Jay President Karol V. Mason joined a panel of criminal justice advocates, artists, and innovators to discuss “Art and Alternatives” at the MoMA. 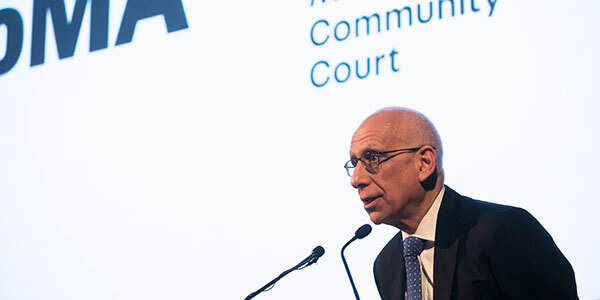 Before the panel started their discussion, Dean Fuleihan, First Deputy Mayor of New York City, spoke to the group acknowledging the work of Midtown Community Court. “It's good to recognize how much has been accomplished and how much more we actually can achieve. We have seen a 31 percent decline in the women in custody in New York City, even as that number rises across the nation,” said Fuleihan. “Today, New York City has significantly lower incarceration rates than any other major American city. And, thanks to the community partnerships that you all have helped to forge, crimes are at a record low.” He went on to say that the mayor wants to keep working on expanding meaningful alternatives to incarceration, citing the mayor’s quote that mass incarceration didn’t begin in New York City, but with help from organizations like Midtown Community Court, we’re finding a way out of it. 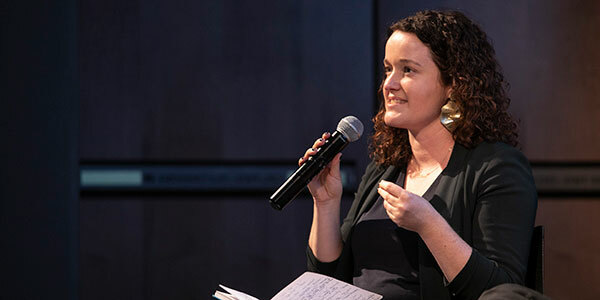 Rachel Barnard, Founder and Executive Director of Young New Yorkers, an organization that provides arts-based diversion programs to court-involved young people, beautifully explained the reason why artistic endeavors are a smart alternative to jail, sanctions, or a criminal record. 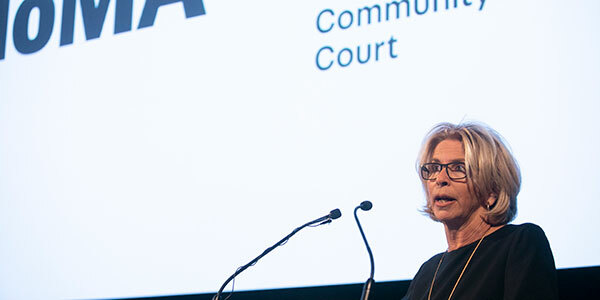 “When you bring art into the criminal justice system, it is very restorative not only for young people, or people being prosecuted, but also for the people working in the system themselves,” said Barnard. “Art can connect us quite quickly as a community.” Calder Zwicky, Assistant Director, Teen and Community Partnerships, wholeheartedly agreed. He went on to explain that while working with women who had been arrested for prostitution, he ended up learning as much, if not more, from them as they created artistic altars dedicated to someone who had a profound impact on their lives. “It was the idea of altars, sacredness, celebration, human and personal narrative,” said Zwicky. Some of the women honored people who passed away, while others depicted children or parents that they hadn’t talked to in decades. “It brought out these larger conversations, and it complicated the narrative and their identity,” said Zwicky. Their artwork told a fuller story about their lives, giving context to their hardships and journeys. Barnard went on to explain that at the end of each program, Young New Yorkers puts on an elaborate exhibition in the courtroom. The space is filled with their artwork, creating an atmosphere that reminds everyone—judges, prosecutors, and the defendants themselves—to see people as people. President Karol V. Mason, agreed, especially looking back at her time in the Obama administration. 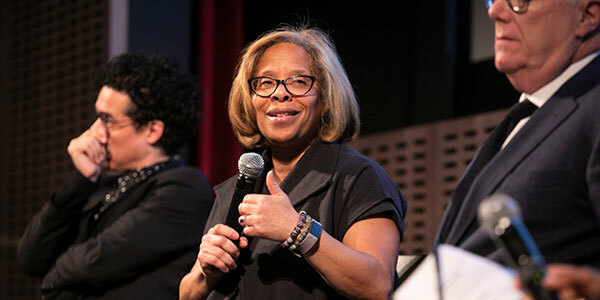 “Fundamentally, what we’re trying to do is to get people to stop thinking about incarceration as the default mechanism for holding people accountable when they make mistakes,” she said. To end the discussion, Sherene Crawford, the panel moderator from Midtown Community Court, asked the group what they hoped to see happen in the court in the next 25 years. Mason made a plea that everyone on the panel also wanted to see become a reality. “I’m going to be bold and hope that you extend this program beyond low-level, non-violent crimes.” She went on to say that she thought the country was ripe for bold actions on criminal justice reform. 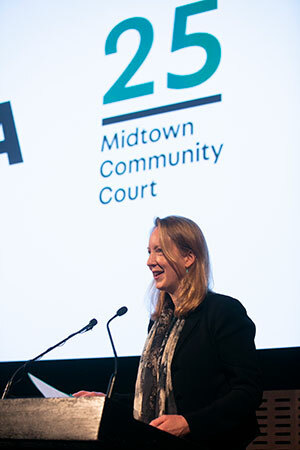 As the night went on, a host of judges, attorneys, artists, advocates, elected officials, and community leaders went into the museum, looked at impressive works of art, and discussed innovative ways that Midtown Community Court could move forward in the future.